The constant current and surge current of some types of load are quite different. It is required to be used within the allowable surge current range. The larger the inrush current, the greater the consumption and migration of the contacts, and the failure of the contacts can not be switched due to the fusion and migration of the contacts. The higher the voltage, the greater the energy, and the greater the consumption and migration of the contacts. It may lead to lower contact reliability. When the button Switch exceeds the small and high load range of the button switch, please connect the relay suitable for the load. 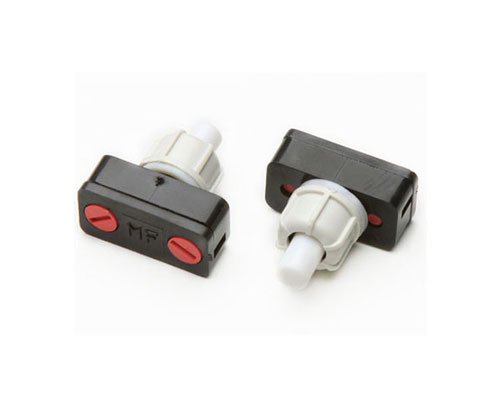 Looking for ideal Miniature SPST Momentary Push Button Switc Manufacturer & supplier ? We have a wide selection at great prices to help you get creative. All the Latching ON-OFF Push Button Switch are quality guaranteed. We are China Origin Factory of Emergency Stop Switch. If you have any question, please feel free to contact us.